I was recently told about a hand from a $1-$2 no-limit cash game that illustrates two errors that many amateur players make on a regular basis. 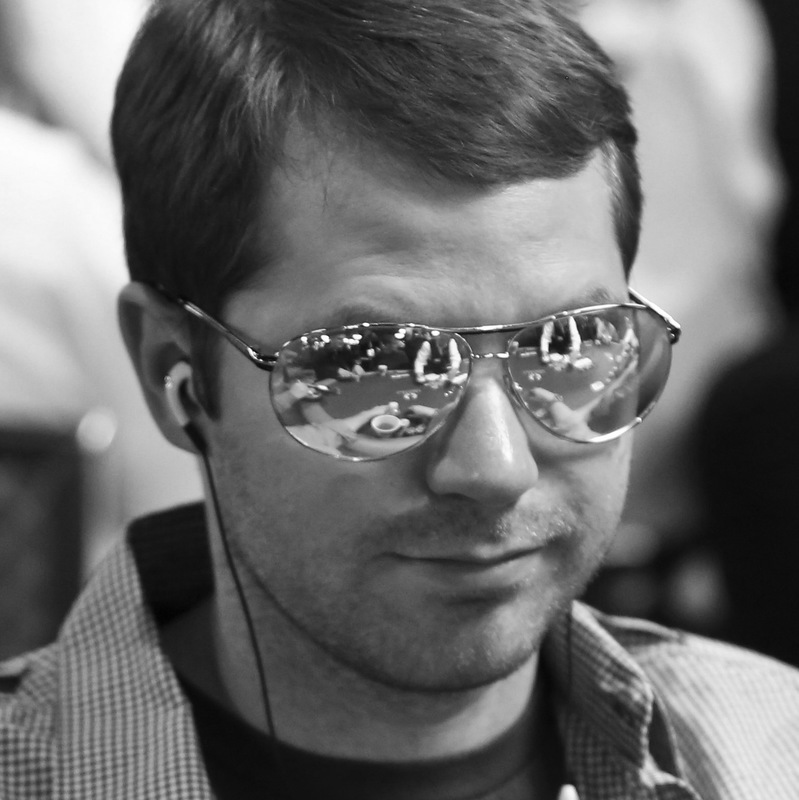 A generally tight player raised to $5 out of his $200 stack from first position at a seven-handed table. Another reasonable player called from the hijack seat. Hero called with 9 9 from the small blind. While some players three-bet with their decent hands like 9-9 from out of position, I like Hero’s call. Notice if Hero three-bets and gets four-bet or called, he will be in a tough spot with a normally strong hand. By calling, Hero keeps his opponents in the pot with all their marginal hands and also gets to see the flop before playing a significant pot. The big blind folded. The flop came 10 8 5 , giving Hero an underpair. Hero checked and the initial raiser checked, and the caller bet $10 into the $17 pot. Hero called. I like Hero’s call. While he could be crushed by top pair, he is in decent shape against the various draws and is in great shape against worse pairs and unpaired overcards. It is important for Hero to think about protecting his calling range in this spot by also calling with some hands that can easily call bets on the turn and river, which are many of his top pairs. If this 9-9 is one of the best made hands Hero has in his flop check-calling range, his opponent will be able to easily triple-barrel him off almost his entire range by the river. The turn was the 7 , giving Hero an open-ended straight draw in addition to his underpair. Hero led for $25 into the $37 pot. This is Hero’s first mistake. Hero has a decently strong marginal made hand that can easily call a turn bet. When that is the case, checking is almost always ideal. While Hero can extract a bit of value from various middle pairs and draws, he is never making a better hand fold, meaning when Hero’s bet gets called, he will usually be against a better made hand or a strong draw. That is not the spot you want to be in from out of position with deep stacks. Hero should instead check, looking to check-call with his marginal made hand and open-ended straight draw. The river was the 6 , giving Hero a straight, but putting three to a flush on the board. Hero checked. I am fine with this check against players who will fold the vast majority of their hands worse than a straight to a bet, but in the small-stakes games, many players will call a small river bet with some of their worse hands, like sets and straights. If Hero bets the river and gets raised, he should fold against competent opponents. After Hero checked, the opponent pushed all-in for $160 into the $87 pot. This is certainly a difficult spot for Hero. When trying to figure out if you should call in situations like this, you need to figure out your pot odds and how likely your opponent is to be bluffing. First, Hero has to figure out how often he needs to win to justify calling. He has to put $160 into a pot that will be a total of $407, so he needs to win 39 percent ($160/$407) of the time to break even. Next, Hero needs to compare the number of value hands his opponent would play in this manner to the number of bluffs he would play in this manner, while accounting for the fact that he doesn’t actually know how the opponent will play his hands. Hero loses to roughly 14 combinations of reasonable flushes, so in order to call, based on the pot odds, Hero needs to find at least nine realistic bluffs (9/23 = 39 percent). If Hero can find nine or more combinations of hands he is confident the opponent will bluff with, he should call. If not, he should fold. After thinking about the opponent’s range, it is actually difficult to come up with many natural bluffs. A Jx is the main bluffing hand that makes sense, but many players would fold that to a turn lead. Perhaps the opponent would turn a hand like A 10x, A 7x, or A 6x into a bluff, but that may not happen because many players would check behind with those, thinking they have showdown value, plus the opponent may not play those hands before the flop. Since there are very few logical bluffs, I think Hero has an easy fold. If I had to give a general rule, I would say that most players do not overbet all-in as a bluff often enough in small stakes games, which should also lead Hero to fold. This is why a lot of "thinking" players never make it past live 1/2. They "think" their way into calling river overbets against a bunch of mindless nutshovers. Those thought processes will serve you well at higher stakes against other thinking players. However, its a recipe for disaster at low stakes. Essentially, the giant error low stakes players like villain make are sizing their bets to match the strength of their hands, causing them to get called when weak and lose value when strong. So calling huge river bets is the exact way to make their mistake "correct". You honestly think a typical low stakes player is turning top pair or a missed backdoor 1 card four flush draw into a river shove bluff here. Ever ?